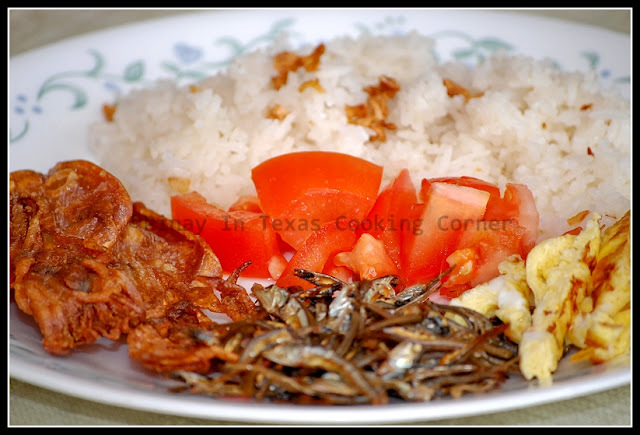 One of the traditional breakfast food of Filipinos consist of rice, egg and fried dried fish or squid. Today, we had fried dried squid and anchovies with tomatoes, egg strips and garlic fried rice for breakfast! Dried seafood may have that distinctive smell…but once eaten, it's heaven! Choosing between muffins, bagel, donut, pancakes, ham, spam, sausage and dried seafood? I'll definitely go for dried seafood! Ohhh sooo yummy! Ho fatto quello traduttore che mi avevi suggerito.Devo dire che mi è piaciuto molto. Grazie mille per lo suggerimento.